Menno Henselmans (Instagram and Facebook) is an online physique coach, fitness model, scientific author and the creator and director of Bayesian Bodybuilding. 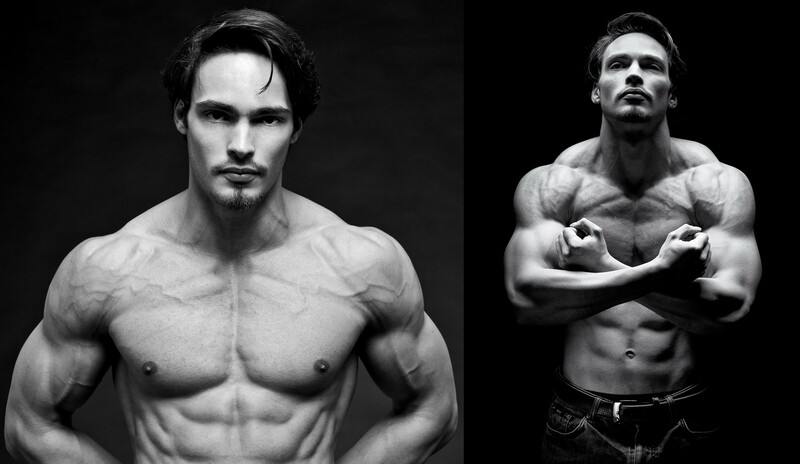 Menno has also worked with multiple pro card winning clients and international prize winners in physique sports and powerlifting and is an international speaker for BodyPower, the Norwegian Academy for Personal Training (AFPT), Paleo f(x), Intelligent Strength and the Oxford and Cambridge Alumni Association. Recommendations for beginner, intermediate and advanced hard-gainers on how to optimise muscle gain in terms of training volume, frequency, intensity and diet. This episode is brought to you by Health IQ: A life insurance company that helps health conscious people like runners, cyclists, weight lifters, HIT participants and more, get a lower rate on their life insurance. QUESTION(S) OF THE DAY: What’s been your experience experimenting with different training intensity, frequency and volume? Let me know in the comments below! I respect your ability/courage to challenge both the guest and yourself by asking questions you know the anwser opposes your view. I like and follow Menno because he is a smart guy and prevides very interesting perspectives, but these opposing views on training are really outside of my comfort zone, it’s a lot to take in. Have the previous podcast guests managed to convince you to try to up your food intake? up to about 5%(what Menno mentioned), basically doing a very slow and controlled geek to freak experiment? Through your questions I get the feeling you might want to try it. In terms of question of the day: I started my training a little more than 1 year ago and did HIT all the way. I would like to experiment with higher volumes and frequencies, but I am afraid I will do all of those sets to failure, so I have to unlearn that. So far, 2x week fullbody of ~8-9 exercises has not prevented me from gaining muscle! I gained 20-21 lbs so far(with alternating calorie surplus/deficit phases) and can gain quite a bit more at my 6’3 180 lbs frame. Whether I need higher volume for that remains to be seen still. Lastly the cunningham equation vastly overestimates energy expenditure for me it seems, but you linked a fun to play with calculator. Thank you Julien. I definitely am interested in experimenting with a marginally higher food intake. But I don’t believe it would make any difference to my lean mass. Well done on your progress Julian. So 20lb gain over 1 year of full-body twice weekly? That is correct, around 8-10 exercises, sometimes as much as 12 exercises to work neck and forearms. Mostly machines. I don’t think I could have gained this in this time period if I did not also accept some fat gain during my surplus phases as well. I don’t know if higher volume training would have allowed me to gain more quickly, but progress is progress. Also, as I have seen with other people, muscle gain is a slow process. Hi Menno & Lawrence, – very interesting podcast – Menno clearly knows the science as well as extensive practical experience on the coaching side. As per Julien’s comment below, this does take me out of my comfort zone a bit – I think most of us listening to this blog find the thought of not going to failure each time quite challenging.. But, to be fair Menno did seem to think that doing a full-body routine twice per week of 1 set to failure would still just about be sufficient to move from an intermediate to an advanced stage. Here’s my question to you though Menno: you echoed Brad’s view that the most important factor of all (other than a relatively high level of effort) is the number of sets per muscle group per week. And as per Brad’s recent research you also feel it is a minimum of 10 sets per muscle group per week – regardless of how this is spread throughout the week? But this just does not feel right to me: I currently am only able to workout once per week: so in order to optimise volume for the week surely I would not need to do 10 sets of chest exercises for example? Similarly, if I am someone who wants to do a full body workout every day, and I do 1 or 2 sets per muscle group every day at a relatively high level of effort (but not to failure), and get my 10 sets per week in that way, surely that will not be optimal either? My point is that surely a muscle group if it is worked relatively hard one day (not necessarily to failure) will need a set amount of time to recover and then adapt before you can hit it again? I don’t understand how you and Brad equate potentially hitting a muscle group extremely hard on one day to chronically stressing it every day as long as it works out the same at the end of the week? It makes logical sense to me that there must be a certain minimum number of days that a muscle needs to recover after having been subjected to a certain threshold of stress, assuming proper sleep and nutrition in between workouts? For example, in the book Body by Science Dr Doug McGuff explains that after a ‘big 5’ 1 set to failure workout it takes 7 days for a particular muscle to recover and then adapt before it should be worked again. Is he right or wrong? Hey Rob – I’ll ask Menno to comment but can’t promise! If you’re doing 1 workout per week and you want to maximize muscle growth, you’d have to do all that volume in 1 session, yes. In fact, that is precisely what most bodybuilders do with their bro splits, only they do go to the gym much more frequently in total because they only train 1 muscle group per session (or that’s their idea at least). He has also done a very interesting podcast with Danny at Sigma Nutrition about Tendon health & gelatin/ collagen supplementation. He would seem to be a prime candidate for Corporate Warrior: maybe you could ask him his views on Menno & Brad’s 10 sets/ muscle group/ week protocol? Sounds like he’s ideal! I’ll certainly check out the podcasts. Cheers Rob! Thank you for contributing Menno! Your absolutely correct about the need to recover from your workouts but remember that recovery and growth are distinct processes that don’t occur simultaneously , and each must be given adequate time to manifest . I just don’t buy this 10 sets per bodypart minimum to maximize muscle development for a very simple reason . When you perform the first set of an exercise and take it to utter failure and then perform a second the performance ( number of reps ) will be reduced by a significant extent and so on it will be with further sets performed . The energy costs are going to be very significant with that first set if truly taken to failure and energy reserves are limited as well , intense muscular work with slow reps will fatigue you very rapidly ! This is the reason why a high number of sets 10 or more per bodypart can’t be performed unless you’re not taking the sets to complete failure . That was an interesting episode. I find the minimalist lifestyle that he describes to be strangely fascinating and yet something I could never follow myself. A nice change of pace to hear from someone else that is way out on the spectrum of volume. I wonder, Lawrence, if you are even a little bit tempted to up the volume and back away from failure? Hey Greg – thank you. I LOVE minimalism! Not yet. Still doesn’t quite make sense to me to back away from failure. I’m not sure if it would make the least bit of difference. Perhaps I’ll add that to the N=1 project list :D.
Firstly great podcast really enjoyed it. Lawrence your a great host and Menno definitely knows his stuff! Do you think you can get close to your genetic potential without ever eating in a surplus? It seems to be me like for someone like me who doesn’t want to be huge but in relatively good shape should probably just eat at maintenance or below, would you agree with this? What’s your view on cadence when lifting? Would you say those who lift with a slower cadence can get away with less volume? Thanks Matt. Well define “huge”, because I certainly don’t want to be fat. I do agree with you that a calorie surplus doesn’t seem to be essential to optimise muscle gain though I open the door to people to show me evidence to the contrary. At least when I think about myself, I just noticed that the smallest calorie surplus just leads to fat gain for me. However, using a slower cadence, in most cases, especially in the difficult range of motion, will increase the intensity of the exercise and make you fatigue faster and thus necessitate less volume. I think you can get away with less volume as long as you’re still training to momentary muscular failure. Hopefully that makes sense? Sorry ‘Huge’ is a little vague I basically meant bodybuilder like physique not that I have the genetics for it! Goal for me is more middleweight boxer like physique. Yes that make sense thanks for the reply. Did I hear correctly that Menno is writing a book? Could we get some more details on that? Hi Slim, are you referring to his work on happiness and APEX living? I don’t think his book is out yet. I would follow him on his website and social media (above in post) to stay abreast of his latest work.